Farmers markets are great places to find alternatives to factory-farmed food, whether that’s fruits and vegetables or higher-welfare meat, eggs and dairy. Lots of small, local farms sell their wares to the public at farmers markets, and they typically welcome questions about how animals are raised. If you’re not sure where to start when talking to farmers at the market, we’re here to help. 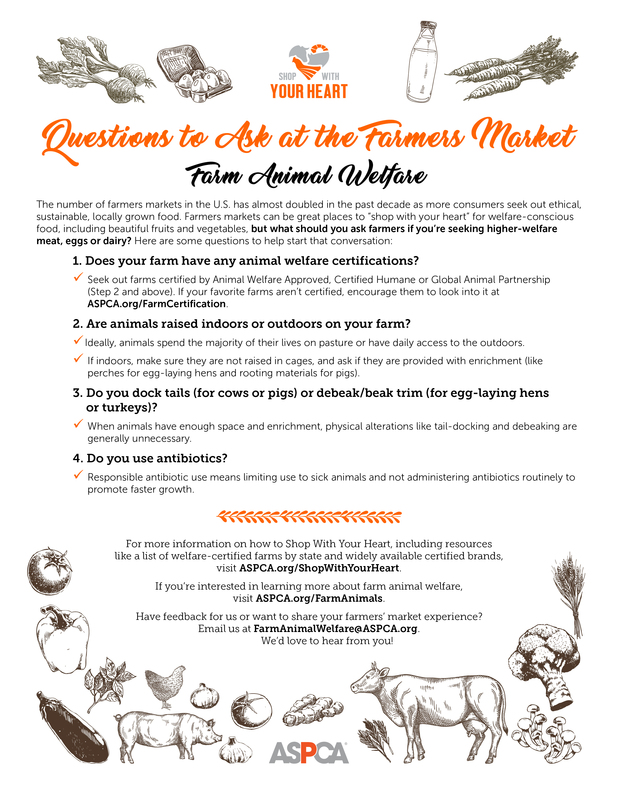 Check out our new video and resource guide, below, for fast tips on what you should look for to find higher-welfare meat, eggs and dairy at your local farmers market. Then, be sure to help your friends and family make welfare-conscious choices this summer by sharing these tips on social media. Don’t live near a farmers market? Many farmers allow customers to purchase products directly from the farm. Use our state-by-state guide to find an animal welfare-certified farmer near you or check out our list of welfare-certified brands available at supermarkets. Help us demand better lives for farm animals! 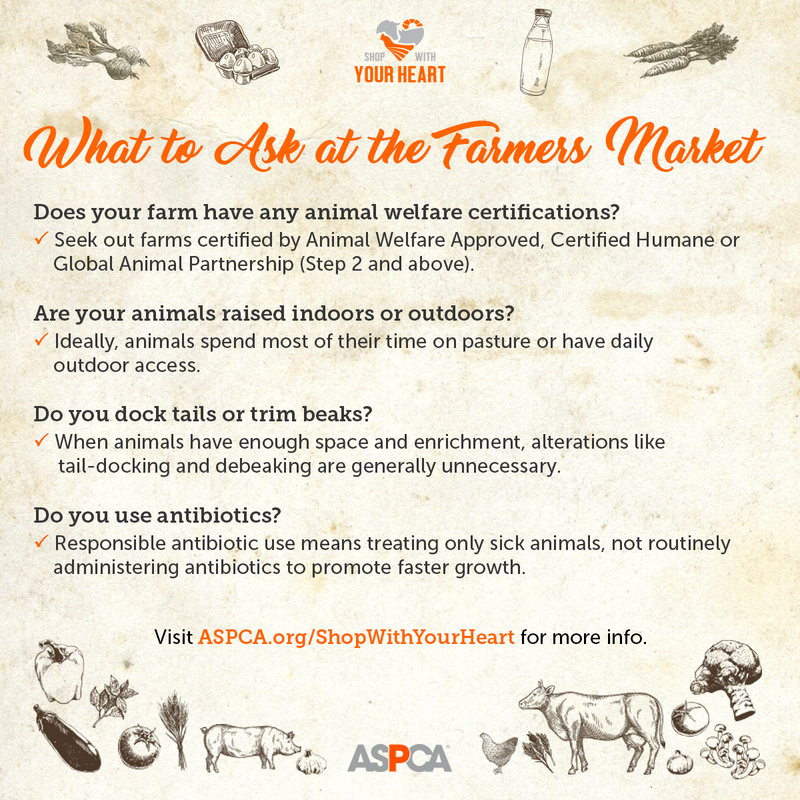 Visit ASPCA.org/ShopWithYourHeart today to join the movement and learn how smarter food purchases can add up to a better world for farm animals..